Oh, how my world has changed since we brought our two beautiful Ethiopian children home! I still feel like we're in survival mode. 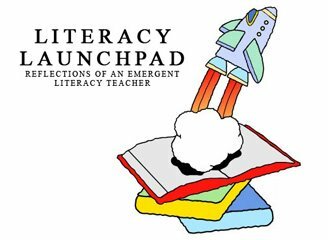 I still miss Literacy Launchpad and what a big part od my life it was, and WILL BE again when we finally shift into thrive mode here someday... soon I pray! Reading has been such a challenge in our house. Life is just crazy, and not normal lately. There are things I know I should be doing, and I never get around to it, or I just lack the energy some days (I'm parenting in a whole new way these days that can often be very draining). Our Ethiopian kids are very into the TV, computer, and video games. So as a Christmas gift we went out and bought them Leapster game systems. This is honestly not something I ever imagined buying any of my kids, but if they want to have screen time, this is some of the better kind of screen time they can have. It's educational! In fact, they kind of resisted it at first because of that. One of them had a really hard time figuring out how to play the games because it requires you to think and learn. Gasp! They have come around on the Leapsters though. And I've been very pleased to see that they play them at appropriate times, and don't seem to be addicted to them. Our son, Mel, recently had a birthday and he got the Toy Story 3 game for his Leapster. I love hearing them it now as they sound out words in parts of the game. It really is helping them learn while also keeping them busy from time to time. Since we bought the big kids Leapsters, we decided to get Isaac the Leapfrog Tag system. We got the pen and a couple books, and he's really been enjoying it. Again, he doesn't play with it ALL the time, but just enough. He'll go get it out himself, and I'll hear him from the room next door "reading" the books to himself. It's also really great for those moments when I would like to read him a story, but I'm in the middle of making lunch or dinner. 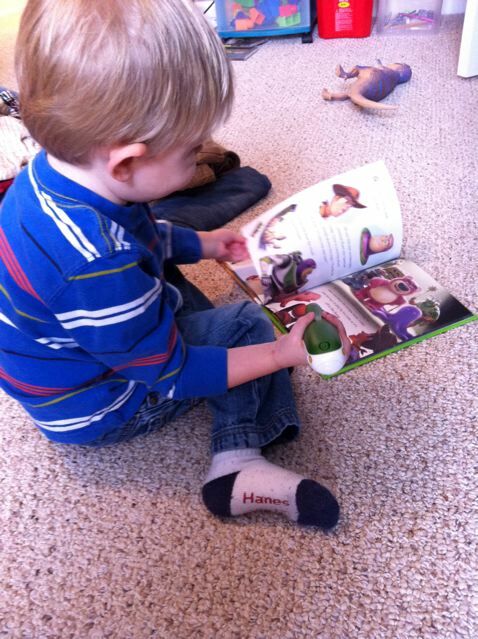 I can bring out his Tag books and set him down near me and let him "read" the books to me. They also fit in a bag or purse well, so it's great for keeping him busy at a store, or wherever he might need some entertaining. Again, neither of these products were something I ever thought we would have in our house, but I'm evolving (for better or worse) as a mother and this is one of those electronic toys I was willing to compromise on. Both products have turned out to be good buys, and with additional games and books we can by, they kids will probably stay interested in them for quite a while. Note: I'm not getting paid or reimbursed in any way by Leapfrog for this post. So I have learned that when you adopt older children, you have to kind of lower your expectations some. I'm learning to do this. But it's difficult when I have a bio son that I have pretty high expectations for. Sometimes I feel like I'm cheating him. He's definitely not getting all the time and attention he used to get when it comes to reading. I worry that he's going to lose that passion for books that has been built up in him. But this week instilled some confidence in me that he is still as passionate as ever. He filled up this basket with books, pushed it to the top of the stairs, and then asked me to carry it downstairs for him so we could read them together. He kept his brother company while he was taking a bath by reading to him.